An excited 1st XI arrived at the University Main on Saturday keen to make the most of their first opportunity to claim some premiership points after a long and productive offseason. Joining the team for the first time were South Australian recruit Alex Gregory, off-spinning journeyman John McLaughlan and, after a break out pre-season, exciting young talent Fergus McKenna. Though their respective journey’s to find themselves debuting in MUCC’s First grade could scarcely have been more different – 13 List A games in South Australia for Gregory, the resilience required to overcome two full seasons marred by injury for McLaughlan and 12 months of exponential growth from McKenna – we are equally proud to welcome three fine young men who embody our Club’s virtues and are excited for their long futures at the level. A correct call at the toss from James McNeil, in his 50th First grade appearance for the club, saw University choose to have first use of the ball with Wes Agar, fresh on the back of his List A debut for Victoria in the JLT Cup, striking in the first over of play to kick off the season in style. Aptly supported by the quintet of Gregory, Scamell, McLaughlan (all with two wickets apiece) Reid (one wicket) and Iqbal, MUCC restricted Greenvale to 9/174 from their 50 overs, which was a respectable total thanks to a lower order fight back after falling to 6/55 early in the day. Martignago, in his 100th 1st XI game for MUCC, was exceptional behind the stumps with two dismissals. Unfortunately, after the innings break MUCC was subject to a taste of their own medicine, with Tom Rogers on the receiving end of an Adams delivery which took his outside edge in the first over of the chase to see the score for the second time in the day read 1-0 in the first over. A somewhat unorthodox tactic of the modern era was employed by Greenvale which saw both opening bowlers each deliver their full allocation of 10 overs unchanged, though it seemed an inspired decision as at the end of the 20th over as MUCC found themselves in trouble with the score at 3/43 having lost Gregory (15) and Borgas (11). Iqbal (20) partnered with McNeil to temporarily wrestle back some momentum, though when he was out caught with the score at 4/51 at just shy of the halfway point of the innings, Greenvale had taken the momentum and were pushing towards victory. With the situation of the game demanding cool heads, class and composure, the following two hours of play delivered exactly that with spectators treated to a fine display of batting from MUCC’s best First grade batsmen of the last three seasons James McNeil (65) combining with the Club’s newest first grade batsman Fergus McKenna (48no) on debut. Together they added 97 runs, arresting the ascendancy from Greenvale in a match-winning partnership. 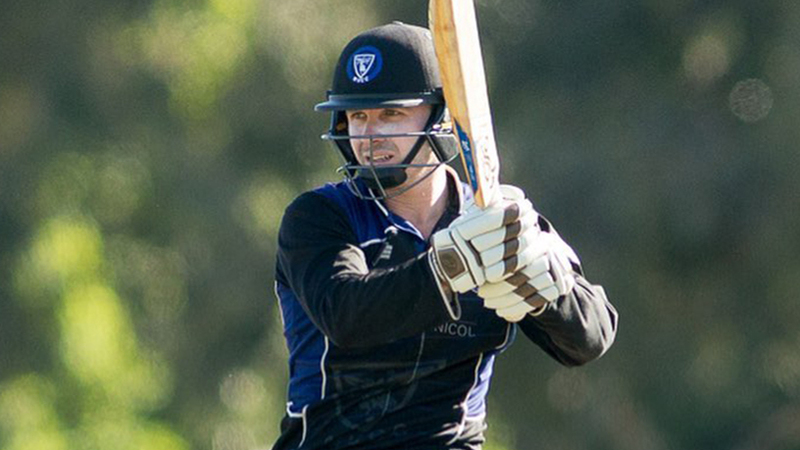 When McNeil departed with 24 runs required for victory, fellow Albury product Liam Scammell (12no), fresh from a very fruitful offseason in the Netherlands, joined McKenna to guide University to victory in the 49th over. Mark Simpson won the toss against Greenvale Kangaroos and elected to bat first on what appeared to be a surprisingly flat and hard wicket for Round One of the 2018/19 season. Andrew Young joined Michael Clements at the crease after an early wicket, and combined to score a huge 208 run partnership, contributing majorly to one of MUCCs highest one-day scores in recent history of 5/317. Young played with great confidence and poise for 68, whilst Clements played one of the great 2nd XI innings for his 210 off 165 balls, including 29 boundaries. With over 300 on the board and Daniel Van Der Merwe claiming two early wickets, MUCC had the momentum. Murphy (118) and Brennan (32) combined to put on a 100 run partnership, providing a slither of hope for the Kangas. A direct hit run out from Ben Rolfs (one of two for the game), was able to swing the momentum back towards MUCC. Finished off with two wickets for James Bett, Greenvale fell 89 runs short off their 50 overs, ensuring MUCC walked away with the win and a bonus point in a great start to the season. The 3rd XI enjoyed an emphatic win on the weekend to cap off a very successful first round for the club. Fielding first the team made early inroads through tight bowling which forced rash stroke play from the Greenvale batsman. 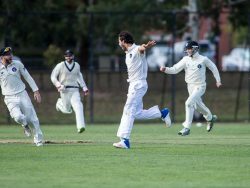 Jacob Stevenson was the first to strike followed by wickets from Tamma Stockley, James Browning, Ben Roughsedge and Greenvale’s innings ended by Peter Hatzoglou whose fielding also enabled Melbourne University to restrict the Kangaroos to a sub par 104. A fairly clinical batting performance from Ben Roughsedge which saw him 49no. after passing Greenvale’s score was more than enough to get University over the line with Elliot Durrant hitting the winning runs. ‘The Demics’ cruised past Greenvale to collect not only their first win but a bonus point for their efforts. A special mention to Tom Savill who played his first game for the club in 8 years and took the side to the win. Round One against Greenvale was a clinical display of MUCC virtues in what was also Melbourne University’s youngest 4th XI. In absence of captain Laban Ditchburn (who was still present, supporting and managing the youthful side), wicketkeeper Jayden Zanoni won the toss and elected to bat first on a flat wicket in good conditions. 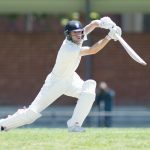 Nick Ritchie and Jordan Evans (both still in high school) opened the batting, putting on 89 for the first wicket partnership which included numerous boundaries as Ritchie made a very solid 38 and Evans just falling short of a half-century with 45. The opening pair showed great intent and took ownership of their opportunities at the top of the order, and set a strong precedent. At no.3 was Zanoni, who top-scored with a strong 53, carrying his bat deep into the innings and setting the young Uni side into a commanding position. The rest of the innings featured cameos from the middle order, rotating strike to Zanoni well and helping MUCC reach 9/210, an imposing score on a flat but slow wicket. Neshant Rao and Andrew James took the new ball, both unlucky not to get early wickets but able to restrict the Greenvale openers to a defensive mindset, which would later hamstring the Kangaroos. Ned Bennett and Sam Harle (both also still in high school) bowled in tandem exceptionally well to both take wickets and provide chances. Harle was unlucky to not see more than his singular wicket to his name due to some fielding errors which were not up to usual MUCC expectations. 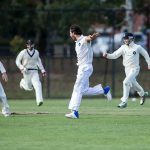 Ned Bennett took three vital scalps to subdue Greenvale, enabling captain Zanoni to showcase his wicketkeeping skills with a stumping and ensure MUCC’s victory. 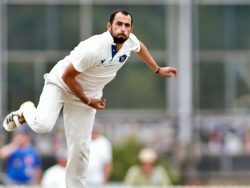 Alex Ingleton, like Harle and Bennett, showed a glimpse of what we can expect to see further into the season with contributions with the ball that was not only impressive in delivery, but in his bowling fitness too. Aside from a few dropped catches, University’s ground fielding was relentless and full of vigour. What was impressive from Saturday’s game was the contrast between the way Greenvale and MUCC conducted themselves on, and off the field. While all in the side but three were in high school, the team also featured 7 debutants. This was noticeable in the best of ways when it came time to sing the song. With some of the lads unsure of the words, some good lip-reading skills and enthusiasm were shown! MUCC lost the toss and bowled first. The bowling/fielding effort made life very easy for the MUCCers. The opening six overs saw Poppy McGeown and new coach Emma Colllard work beautifully in tandem. It was Emma who struck first, sending middle stump flying out of the ground with the Bats on just 10 in the fourth over. Cath Grant and Sophia Luikinga combined for a cool run out and the girls, with their tails up, had Plenty Valley 2/22 in the 9th over. Comeback kid Megan Burns managed to prove quite the nuisance resulting in one of the Bats’ biggest hitters mistiming one and skying it to Emma Collard who took a great catch on the run. Debutant Jessica Clough had a baptism of fire when on her first ball, the batter thumped it straight back just over her head and unfortunately the ball wasn’t able to stick in the mitts but she persevered and got her very first wicket in cricket with the final ball of her spell. The Bats managed to post 5/69 from their 20 overs. With 70 to chase, MUCC had a bit of a shaky start after Sophia Luikinga hit what appeared to be a stunning cover drive only for it to go no further than the fielder’s hands. Poppy McGeown teamed up with Emma Collard in the middle and put together a handy partnership but Poppy was bowled by a great delivery that stayed a bit low on the synthetic pitch and cannoned into her stumps. Cath Grant saw that the run chase was never in doubt and combined with Emma in some intelligent and patient batting to post a 51 run match-winning partnership that saw MUCC over the line in the 18th over. 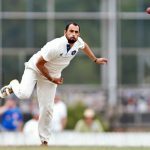 The biggest positive was the fielding effort. With a couple of new faces and old faces returning, it almost seemed as if the girls had been playing together for years. It definitely felt like there was no winter break and it is certainly something we can build on going forward. Up next, Craigieburn in Craigieburn next Sunday.